One, two, skip a few, and suddenly it's May! I've been incredibly slack on the blog updates this season... Everything flew by much quicker than I expected, especially with so many new experiences lined up. So here's just a quick glimpse at the highlights of my northern season: I had a great start to the northern season, arriving in Europe in early November. 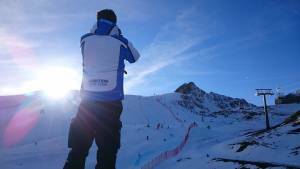 The main focus had been on training and consolidating the changes I've been making to my skiing. This meant that the majority of November was spent at Pass Thurn, hammering through courses, while December held more of the races we were attending. Most races I brought improvements onto the slope, some in more sections than others. On the first day of GS at Dienten I skied enough good sections to secure 3rd place. A good way to round off the first half of the season as I headed back to New Zealand for a fleeting two weeks of summer. The time at home flew by between family, friends, hiking, swimming and some beloved water skiing. Upon returning to Europe I aimed to hit the ground running and did just that, squeezing a day of super g training in before competing in two FIS GS races in Maria Alm, both on the same day! January was a mix of racing and training leading up to my first ever major event. 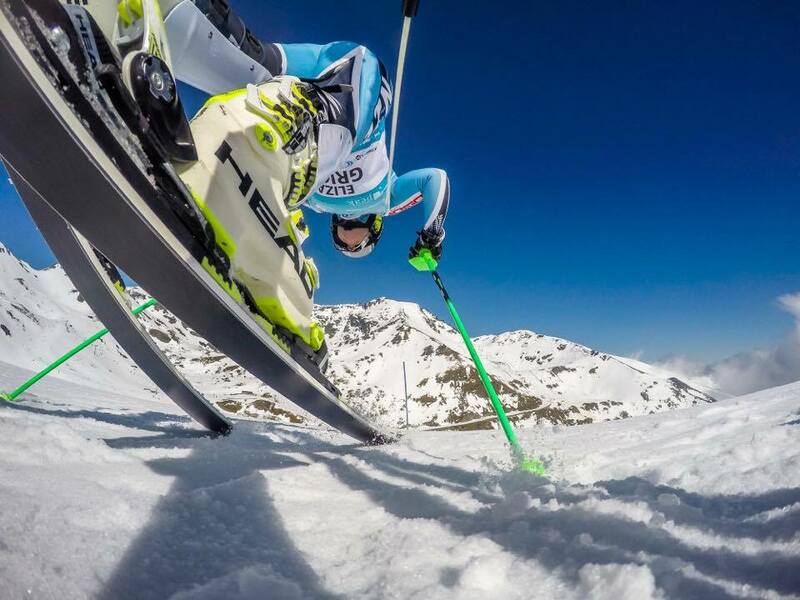 I competed in the GS at this years World Ski Championships held in St. Moritz, Switzerland. Being ranked 75th overall on the start list, I needed to qualify for the main event (only the top 50 automatically qualify). To do this, I needed to finish in the top 25 of the qualifying race, held down the road at Zuos. I started the race on the cusp, with bib 25 and skied some of my best GS, ending up with the 3rd best time second run and placing 7th overall! This well and truly qualified me for the main event and to top it all off I scored a PB of 29.84 points! Main event was a world unto itself. The atmosphere was incredible and I knew I had my work cut out for me as I would need to ski well in order to qualify for second run (only top 60 get a second run) yet, I felt no nerves... Not until I'd watched the top 20 girls race and it suddenly dawned on me that I too would be skiing the same course I'd just seen on TV. Nevertheless I was ecstatic to make it into the second run and finish up in the top 50 from bib 73! It was an exhilarating experience I won't soon forget. The weekend following World Champs I competed in the Dutch National Champs GS, claiming 2nd and my new favorite medal, the clog! More training and racing saw me heading into the beginning of March, where I raced in Andalo, Italy. I was pleased with how I skied in both GS' there, despite making some tactical errors the first day that cost me time. I managed two solid runs the second day, placing 4th and scoring a new PB of 28.51! 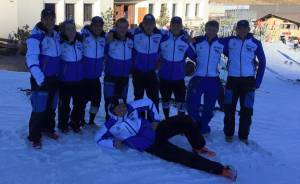 And two days later I was in Åre, Sweden, getting ready for the Junior World Ski Championships! This will be the same location for the 2019 World Ski Champs so it was nice to get a feel for the place. Unfortunately the skiing didn't go to plan but it was another wonderful experience. 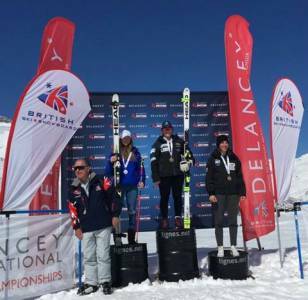 A couple weeks later you could find us in Tignes, France for the British National Champs. 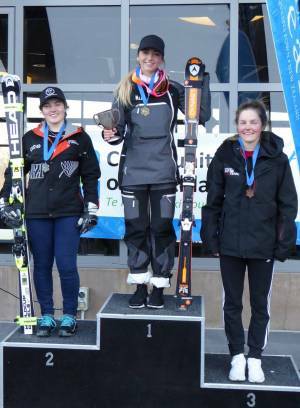 This week of racing kicked of with two Super G's, a National Champs (NC) and a National Junior Champs (NJC). I knew it had been a while since I'd raced super g but it wasn't until after the race I realised it had been over 6 1/2 months between my last super g race and this one! I was pleased with how I skied, finishing 6th overall in the NC race and 3rd overall in the NJC which also placed me 1st U21! Not too shabby for a part-time speed skier. Later on in the week I also managed to claim 3rd U21 in the NJC GS race. It's been a whirlwind of a season, with amply opportunity to gain knowledge and experience. A huge thanks to Daniel Dejori, for stepping in last minute to help me out at St. Moritz, I truly couldn't have done it without you. As always thank you to my sponsors and parents for all the support. There's already some snow accumulating on the mountains here in NZ so it shan't be long till the southern season is underway! This season has certainly tested my fall-back skiing, with so little training heading into the races it was interesting to see what I could pull out of the bag. With a couple days training of each discipline under the belt we headed into Nationals on August 8th. I skied hard but made some irritating errors keeping me in 2nd for NZ by 0.35 of a second. Slalom was far more of a challenge for me and I managed to place 3rd. With the quality of training improving we were able to get a solid week in before heading over to Australia for the first lot of ANC races. Unfortunately, the weather didn't want to play ball over there. We arrived to soft, wet, snow conditions, with a grim weeks forecast at Mt Hotham. With GS kicking off the series the cloud kept dense, retaining the damp snow without much hope for salt working. The officials decided to postpone the boys race and attempt to run the girls, considering there were only 25 of us. The cloud thinned slightly and we were underway. I was skiing relatively well until hip-checking (the act of falling inside onto one's hip thus sliding away from the gate and direction of travel) coming into the last gully. Having lost so much speed I was baffled that I was still tied for fourth. I tried to make up for lost time on my second run but couldn't gain enough to make the podium. It was decided that, in light of the impending weather, we would run the second girls GS that day as well. But for the vexatious conditions, this would have been alright. It had begun to snow, making for an even softer track, riddled with ruts and holes. The first run of the second race was probably my best of the day, even with a few tactical mistakes but the last run was quite something else. The sizeable ruts ranged anywhere from at the gate to five meters above it, coupled with the thickening snow storm and dwindling energy levels, no one was able to properly race the run. I did manage to hold onto 3rd place. The following day we had off as they ran the first of the boys GS's. As luck would have it, the weather only became better as the week went on. 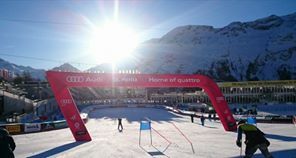 On the third day of racing they had the men's second GS followed by the woman's first SL, the day after compiling of both Men and Women's slalom with the Men's second slalom race being pushed into the weather day. My slalom skiing contained some good sections but for the most part, it pointed out a lot that I needed to work on. Heading back to Queenstown, we were able to squeeze another days GS training before getting underway with the NZ ANC's. The standards were raised at these races with the likes of Ragnhild Mowinckel (Currently ranked 26th in the world for GS!) and the American and Norwegian Europa cup teams! Competition was fierce and I was pleased with my GS performance. My slalom again had some good sections. Following a couple days recuperation, we headed up to Mt Hutt for the speed series. The training day was cancelled due to poor weather. The following day we managed to get up the hill and after a tense hour of drifting fog, it cleared to a sea of clouds sitting just below the carpark. With the weather finally on our side we smashed out 3 super g races; two ANC races followed by one for National Champs. The first race I surprised myself by skiing into fourth, narrowly missing 3rd by 0.04 of a second! The second race I skied better and faster, ending up only 0.5 seconds off of the lead but still sitting in 4th! 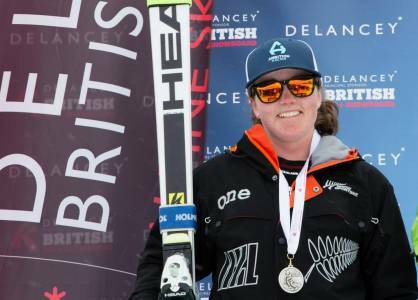 The third race I made several errors costing me time but I managed to ski into 2nd place for NZ nationals. It was a successful day for me, scoring my three best super g results. My points will drop from 87 to 63.35 when the next list comes out! We still had an Alpine Combined scheduled but the weather only got worse during the week so that was cancelled. After a lovely wee break at home, it was back to Queenstown for some much deserved training! We've had some absolutely incredible conditions both at Rocky Gully and the Remarkables. Sneaking in some epic early morning training down Curvy Basin at Remarks. I would like to say a huge thanks to all my sponsors and supporters for another great season. We are back into fitness with a camp in Queenstown next week. From then on it won't be long till the northern season kicks off! At the beginning of August I was a sports finalist for the Farringdon Sensational Selwyn Awards 2016. I just wanted to say congratulations to Francie Turner and all the other Winners and Finalists involved. It has been a very slow start to the season with bizarre weather patterns keeping us off snow and out of gates, three weeks longer than usual. Besides the week-long on snow camp at Mt Hutt in June, the beginning of winter was spent in the gym working on strength and conditioning. It was good to have extra time to focus on fitness but I easily became restless to get back on snow. It has been a whole heap warmer than usual these past few months, with very little snowfall, forcing us to push back the start to our season. We began free skiing at Coronet on July 18th and were able to get into gates in the last few days of the month. With two days of full GS gates under the belt we headed into the Cardrona GS race on August 1st. The super soft snow and flat slope weren't the ideal combination for me but it was a good form of training. Since then we've had a dump of snow that makes Coronet look like a proper ski field again! Along with the snow guns that have been running, we now have a reasonable surface to train on. Amongst waves of fog and snow that have swept the valley this week, we have been able to train both GS and Slalom. Squeezing in some much needed preparation for the up coming races. 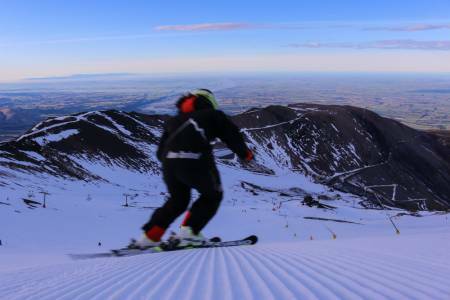 The team at Coronet Peak have done an amazing job of getting everything ready in time for Nationals which start on Monday. Here's hoping the weather holds so we aren't stuck in a snow cloud like last year! I am incredibly excited to announce that I shall be joining the Pure Sports Nutrition team! This New Zealand company makes high quality natural sports nutrition products with no artificial ingredients or colours. From electrolytes to whey protein to their exercise recovery range, they have everything you need to improve and aid they way you exercise.I highly recommend taking a look at their products on this link to their website. Or follow their journey on Instagram, Facebook and Twitter. Thank you so much for your sponsorship, I look forward to working with you guys! I must say a huge thank you to Alpine health and fitness in Queenstown for sponsoring me this season! I'm proud and honoured to be part of the team. The world class facilities are amazing and make the hours spent in the gym, that much nicer. Everything we need is at our fingertips, and more. From the pools, to the weights they have it all, so I highly recommend popping in if you are in need of a decent gym.Check out their website here or by clicking on the blue mountain icon to your right under sponsors. Or pop in and see them at Joe O'Connell Drive, Frankton, Queenstown. Thanks Chris Haworth for the close up podium shot! The season has now well and truly drawn to a close and, as always, feels as though it has passed far too quickly. These past few months have been jam-packed with races and training, all over Europe. 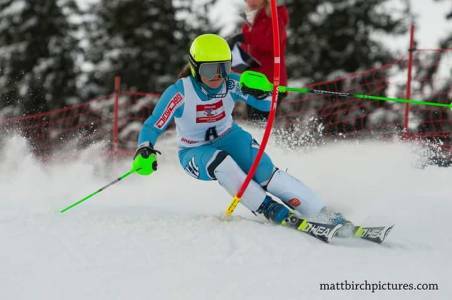 Despite the average results in Slalom, I'm pleased with how my technique is improving and slowly appearing in sections at races. Super G on the other hand has seen me drop 21 points, bringing me to 87. This is due largely to the fact that my GS has improved greatly. As well as the 32 pointer I scored in St Moritz, I achieved a 36.48 and a 34.44 at the British in Tignes which lowers my points, all be it small. Despite the weather being against us both GS days of the British, on the second of these which was the NJR, I managed to place as the 2nd U21. Nicely rounding off a positive GS season. With the new base list out, I am now 406th in the world for GS and 57th in my age group as well as 2nd in NZ! Still, there is always more work to do on and off the field. I was very excited to pop over to the Head Factory at the end of the season to pick up some skis and be fitted for my first pair of Head boots! Massive thanks to the Head crew, I know the skis are incredible and I can't wait to use these raptor boots. Right now, I'm getting into a substantial fitness block. As always, a huge thanks to Ben Griffin for putting these programs together and constantly pushing me to improve in the gym. Notwithstanding my hypothyroidism I feel I am developing my skills physically. Always a crucial factor when aiming to better skills on the slopes. There are invariably those whose time, effort and talents go unnoticed in this high-paced sport. I would like to acknowledge and thank all those who make all these races possible. From the timing crew to the TD, gate judges to the lovely people that write our times on a board. In all the countries I've raced in, it is plain to see these races would not be run without your planning and adapting to the curve-balls mother nature throws your way. Another huge thank you to my Northern Hemisphere coaches, Marc Telling and Tom White, for all the advice, the videos, the wonderful chauffeur skills and of course the coaching. It will be good to see Ambition heading to my home turf for the NZ winter! Also my home team coach, Nils Coberger, who is always there when needed even though he'd be touring with the NZ Men's National team. Lastly to my amazing parents and brothers, none of this would be possible without you... so thanks for putting up with me! Bringing in the New Year in the warmth of a New Zealand summer was a pleasant change to the blustery years previous! For my first proper summer in a while, it wasn't overly summery. In with all the heat, wind, sunshine and rain we managed to squeeze a large dump of snow on the southern alps! What was more bizarre was that there was more than enough to actually ski on... so much for a summer break! Upon returning to Austria, Ambition ran their first 'Ambition Champs' which is a children's race. I, along with a couple FIS team mates, fore-ran some of the races. It was good fun and a great opportunity to see how the younger kids were progressing on the slopes. The podium haul from the Ambition athletes was impressive. I've done several races peppered with training this month. The most successful of which would be my 2nd place at the FIS races in Champery, also known as the Welsh! The variation of the races was easily noticed in the range of slope pitches. Despite the promising week of low temperatures and vast amounts of snow in the beginning of January, all the races were pretty soft as the temperature in Europe has unfortunately risen again. There are still many places that scarcely look as though winter has laid a finger on them. Hopefully it drops again but with the rate of this bizarre winter, it is a hope that is diminishing. These last few days of January were a designated break. 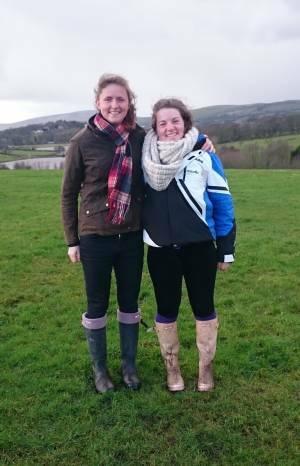 I was delighted to be invited to the north of England by one of my team mates, Bethany! I always love trips to England and yet, this is the furthest north I've ever been. I've thoroughly enjoyed learning about the place and seeing things I've heard Bethany talk so much about. There is something quite enthralling about the countryside riddled with stone walls and quaint cottages lain over the rolling hills of the north. Even though I had only a few weeks back surrounded by snow, it has been absolutely amazing to enjoy a complete change of scenery for a couple days, instead of lounging in Haus Tirol. Today we flew back to mainland Europe to crack on with the next 3 months of the season. I am excited that the new FIS list has come out and my GS points are now 33.79! Bring on the rest of the northern season! Homeward-bound and I am absolutely buzzing! The last four days have been an absolute whirlwind. The new Ambition kit arrived four days ago, looking very white and pristine! We decided it had a very St Moritz-y look about it so armed with this new look we headed over there for a GS and a Slalom race, to find the summer plague has engulfed a huge amount of Europe. The lack of snow further emphasised by the abundance of the stuff in photos we saw from the same day last year... Anyway, we kicked off this trip with the GS race down a long, turny, roll-filled piste. The amount of terrain changes made for an exciting race and the snow held up well for the girls but became rather choppy part way through the boys race. Apart from a few small mistakes in the rhythm-less course I had a pretty good day, charging down the pitch into 8th place, scoring a 42.61 . 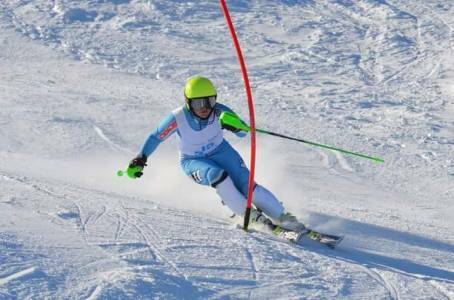 Because of the snow conditions they decided to put on a second GS rather than run the slalom. I was more than happy with this decision. I knew I could improve on my skiing from the day before and was glad of an opportunity to prove it. More of the rolls hid gates but I managed to charge down into 3rd only 0.44 behind the lead after the first run. The second course was deceptively straight in several sections. Even with Tom's warning ringing in my ears, I came into one seriously straight section, thinking I had pinned the line, but was actually quite far off the gate... following this mistake I hammered the bottom of the course in an attempt to make up for the time I thought I'd lost. Turns out I actually won the run by enough to pull me up into 2nd place and secure my best ever GS result of 32.70! Needless to say I was beyond ecstatic! Instead of medals, we were awarded with gifts. I laughed when I was given a bottle of wine and an icebreaker jersey, all the way from little old New Zealand! After this we drove the 4 and 1/2 hours back to Leogang, ready for two CIT GS races starting the next day. I had a pretty decent first run at Leogang, only 0.6 off the pace on yet another really long GS course! Second run I nailed the pitch and carried heat onto the flats but lost it all to silly mistakes at the bottom of the course. Yesterday's race was sung from the same song book. I placed 7th and 6th respectably. This first half of the Northern season has been absolutely jam-packed with training and races. I'm incredibly happy with how everything is going at the moment. 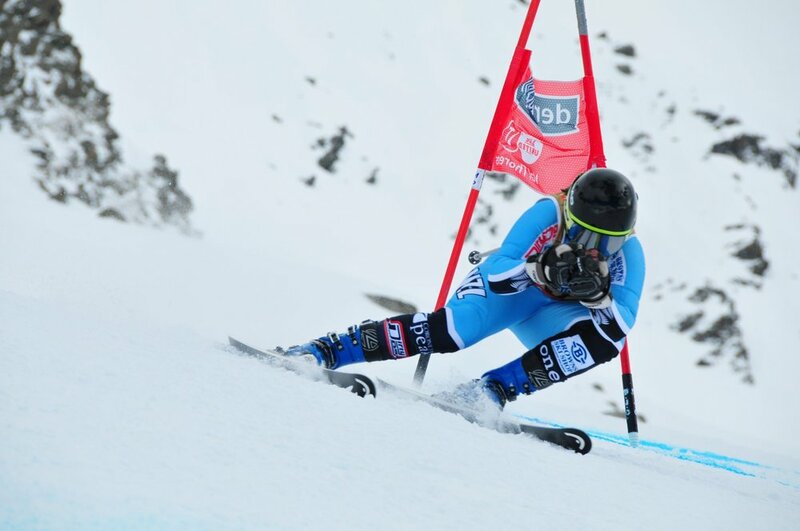 Surrounded by a great team, I'm making improvements in both Slalom and GS. I leave Europe today on a great note, ready for a wee summer break at home to refresh and recharge so I can come back and smash some more races next year! I'm sad to stop skiing for a couple weeks but I am so excited to head home for Christmas and I know a couple weeks off will do me a world of good! It has been a great year and I want to say a huge thanks to everyone who has helped make it this good! Merry Christmas and a Happy New Year! A podium, PB, bottle of wine and an ice breaker nz jersey... thanks St. Moritz! !